To help you find the Best Ancestry Services, TopConsumerReviews.com provides you with an in-depth comparison of One Great Family and My Heritage. Based in Israel with additional offices in Utah and California, My Heritage has been making connections between genealogy researchers and their ancestors since 2005. With more than 83 million users and 33 million family trees, My Heritage is clearly committed to helping people connect with one another. In fact, their Smart Match and Record Match system automatically alerts users when any records pop up that might be related to someone entered in their family tree. Those matches come from My Heritage's more than six billion historical records, from census records in the US, UK, and even Nordic nations, to family trees created by users at Family Search, Geni, and My Heritage itself. Where My Heritage loses us is when it comes to their pricing and membership options. It takes a considerable amount of digging through the website to determine that there are three membership plans: Data, Premium, and Premium Plus. For $119.40 per year, a Data Subscription allows users full access to My Heritage's SuperSearch and Record Match features. The Premium plan includes up to 2500 people in the family tree, Family Tree Builder Premium, priority customer support, and several special features like Timeline and Enhanced Smart Matching. 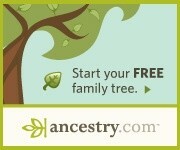 Premium Plus includes all of the benefits of the Premium plan, along with an unlimited number of people within the family tree and the ability to use My Heritage's Instant Discoveries feature, which allows users to add a group of ancestors in one click rather than having to enter each one individually. What do those upgrades cost? Even after a considerable search of the site itself, the only information My Heritage makes available is "contact our sales representative for more information". Given that the starter plan is already a considerable amount, we would expect much more transparency with their pricing plans, especially with some user reviews stating that the pricing may vary based on how many users one has in his or her family tree. We also were discouraged to see so many negative user reviews, almost exclusively regarding My Heritage's pricing and difficulty in getting refunds. Many customers complain that they attempted to cancel during a 14-day free trial period but were billed anyway, and getting a refund proved difficult-to-impossible for a significant number of users. While My Heritage may give users access to an excellent variety of records and have features that make family tree building a simple process, their customer service and pricing information (or lack thereof) give us pause. In order to improve their rating, we'd expect to see more obvious pricing information and improvement in customer reviews, particularly with respect to refunds.